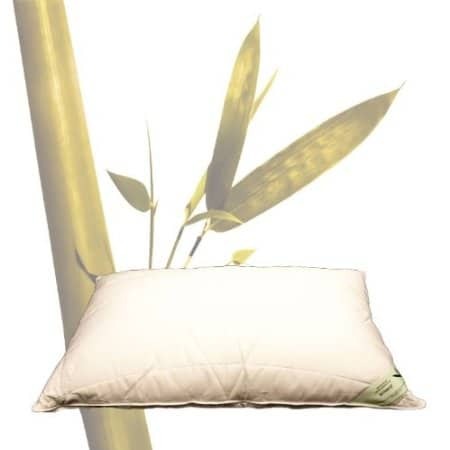 Bamboo Quilted Pillow made by Botanics uses natural fibres. It has a 300 TC Bamboo and Cotton cover. Bamboo is naturally anti-bacterial and resists dust mites. This is a pillow suitable for those with eczema sensitive skin or hay fever. Filled with soft as down non-allergenic micro fibre. Bamboo plant is grown without any chemicals or pesticides. naturally organic. It has thermal regulating properties and insulates according to temperature. Wash the pillow at 30 degrees. Very quick drying.